President Higgins and the Taoiseach, Leo Varadkar, have led mourners paying tribute to former finance minister, Richie Ryan, who has been laid to rest. He later served as an MEP for Dublin and finally was Ireland’s representative at the EU’s audit service in Luxembourg for eight years before his retirement in 1994. Even then he remained active in Irish life working with Irish Red Cross and the Commissioners for Irish Lights while also pursuing a wide range of hobbies. Dubliner Richie Ryan was educated at Synge Street CBS and UCD and worked as a solicitor, where he earned a reputation for tenacity and hard work, before entering politics. 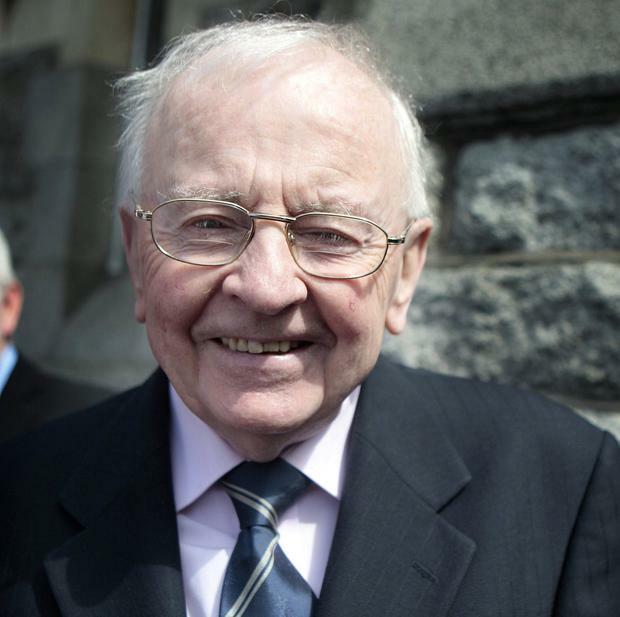 A champion debater, he was first elected to the Dáil for Fine Gael in a by-election in 1959 and he served there for 20 years. With the advent of television in the 1960s he became a household name for his trenchant contributions to political discussion programmes. He was surprised to be offered the job of finance minister in 1973 by party leader, Liam Cosgrave, who was heading a coalition with the Labour Party. Everybody assumed the post would go to Dr Garret FitzGerald, and Richie Ryan warned his boss that he had not dealt with economics since his student days. “But I trust your judgement,” Liam Cosgrave told him at the time. 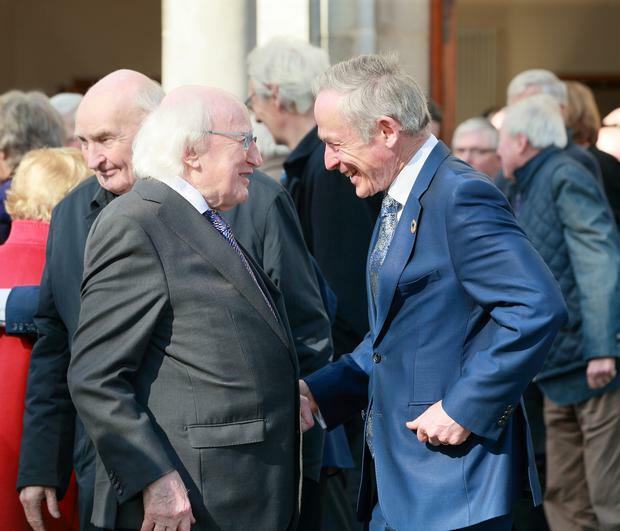 Mr Ryan was part of a cabinet known as the “government of all the talents.” At his funeral mass in Mount Merrion the last two survivors of the 1973-1977 Cabinet, former Gaeltacht Minister, Tom O’Donnell of Limerick, and former Justice Minister, Pat Cooney from Athlone, were among the mourners. Many observers believe this notoreity contributed to a huge defeat in the June 1977 general election which saw Fianna Fáil win with a huge landslide. But he publicly never voiced any animosity. In Fine Gael under Garret FitzGerald, Richie Ryan got little preferrment and switched his attentions to Europe, first as an MEP, and he was later appointed as a replacement nominee to the EU Court of Auditors, based in Luxembourg in 1986. He was most surprised to be re-appointed to a full six-year term in this job by Fianna Fáil leader, Charlie Haughey, in 1988. 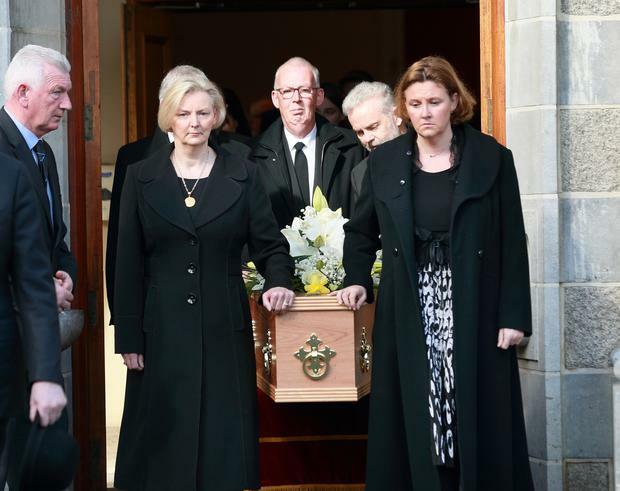 Attendance at his funeral mass read like a Who’s Who of Irish politics in the 1970s and subsequent decades. Former Taoiseach, John Bruton, was joined by former ministers Alan Dukes, and Nóra Owen and Barry Desmond of Labour, and Pat Carey of Fianna Fáil, as well as president of the Court of Appeal, George Birimingham. Current ministers attending included Michael Creed, Regina Doherty, Richard Bruton and Mary Mitchell O’Connor, along with TD Bernard Durkan. Former MEP, Mary Banotti, was there as was former TD, Tom Enright, and former Fine Gael organiser, Frank Flannery. Mr Ryan’s son, Declan, told the attendance that his father enjoyed hobbies including poetry, classical music, gardening and travelling. His wife Máiréad predeceased him and he is survived by three sons and two daughters, grandchildren and great-grandchildren.